Small size coat hanger for life! Biome exclusive design. We designed this stylish coat hanger made from one piece of strong 304 grade stainless steel so you will never need to buy another. One cleverly-twisted wire means it will never break and there is no solder point to rust. Indents hold tops with straps in place. Suits small adult items also. 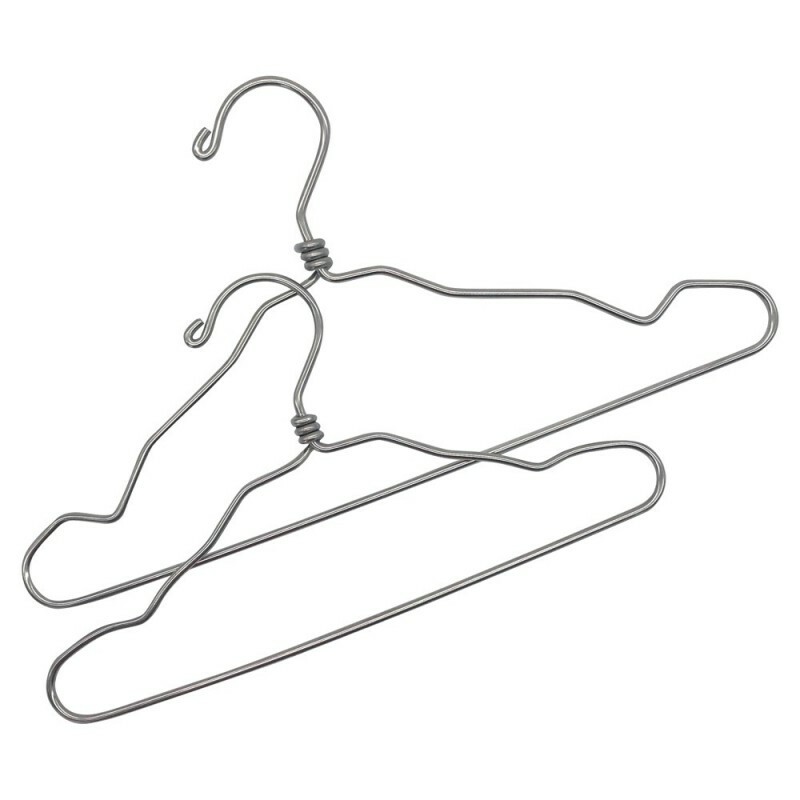 A child size coat hanger that is also suitable for smaller adult tops. We are excited to introduce this high quality, sturdy coat hanger that has been thoughtfully designed by Biome to be an item you will treasure for life. The solid stainless steel wire is twisted around the neck, rather than a join that on other metal hangers is generally soldered. Those join or twist points are the weak spot where other hangers eventually rust or break. We understand that many of us re-use discarded or second hand hangers, and we love that! Keep them in the loop rather than sending to landfill. 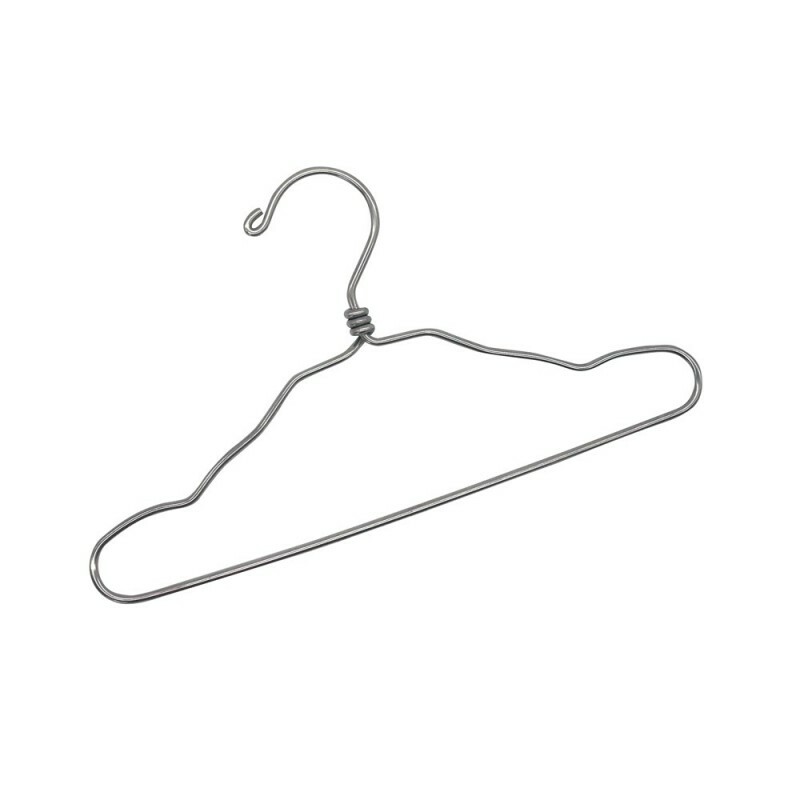 Our hangers are an option if you are buying new ones. Stainless steel can be recycled at the end of its life - though this coat hanger will be handed on to future generations! Nicely rounded edges, so no sharp ends. Width from left to right: 33cm.